1. Seated dumbbell press – 3 sets of 10-15 reps.
2. 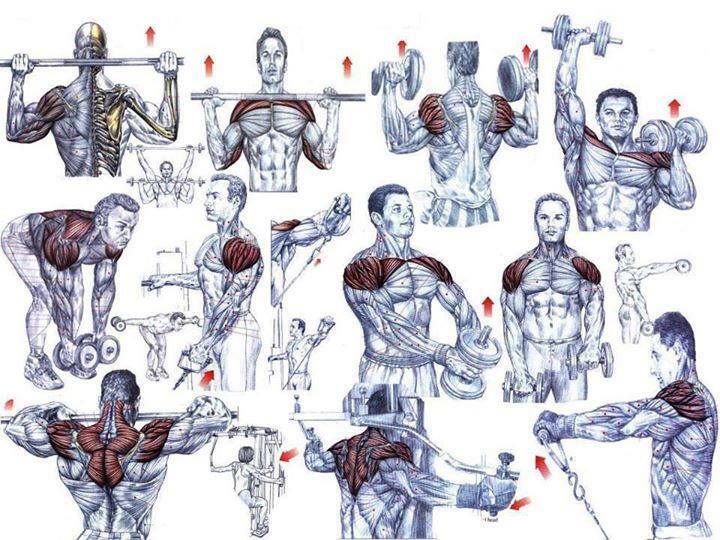 Front lateral raise – 3 sets of 10-15 reps.
3. Rear lateral flyes – 3 sets of 10-15 reps.